Norman the Nomad: Nu-Soul Presents Jody Watley Live This Halloween in LA! Nu-Soul Presents Jody Watley Live This Halloween in LA! Nu-Soul Magazine has got the perfect Halloween party for you! Join us on Saturday October 31, 2009 for a special Halloween night performance from Grammy diva Jody Watley! 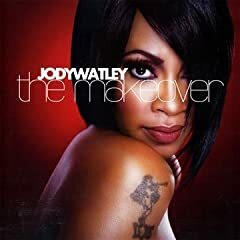 She’s an innovative music maker, a style-forging pioneer: since the mid-90s, Grammy-winning multi-talented Jody Watley has led the way as an entrepreneur working in the independent music world as one of the few already-established female best-selling artists to produce, create and own her recordings. With an amazing 32 Top Ten Singles and 13 No. 1 Singles in the R&B, pop and dance music genres over the past three decades – including such classics as “Looking For A New Love” and “Don’t You Want Me” Jody Watley has made an indelible mark on music. This event will take place in Downtown LA at the Church, a true centerpiece of underground LA. This magnificent 2-story indoor/outdoor venue has the feel of the massive loft parties of yesterday and is the perfect spot to party till 4am on Halloween! Kress Halloween Party w/ Open Bar!!! !